Leatherman mobile first design built while contracting at Roundhouse in Portland, Ore. Wireframes and initial UX by Megan Branson. I worked closely with her and the development team while finessing these designs. 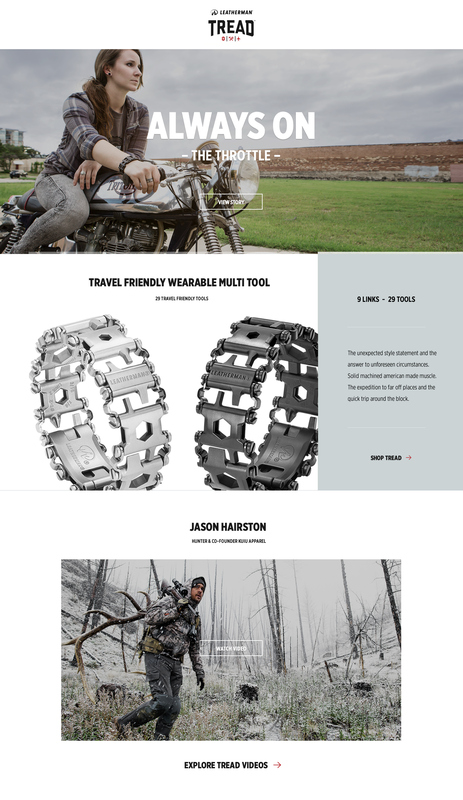 Mobile first design for Leatherman's new wearable tool. 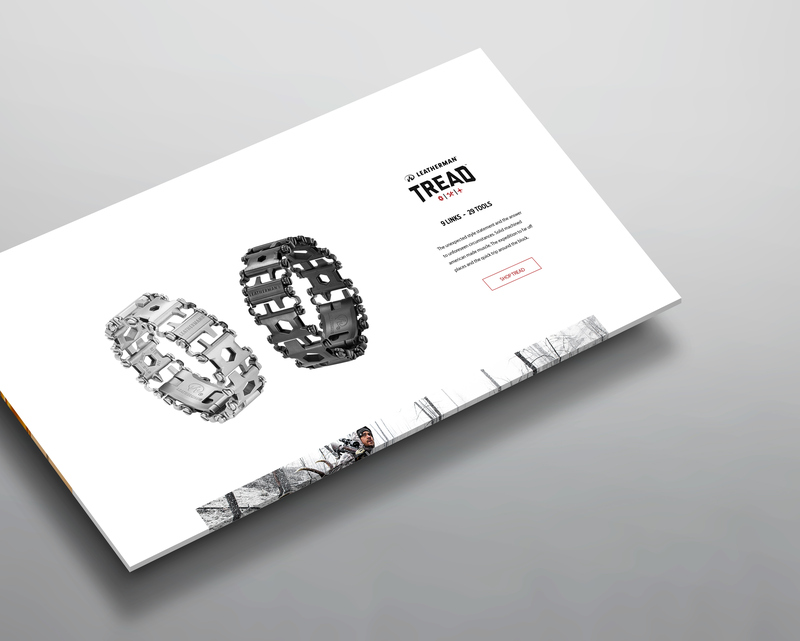 Tread.